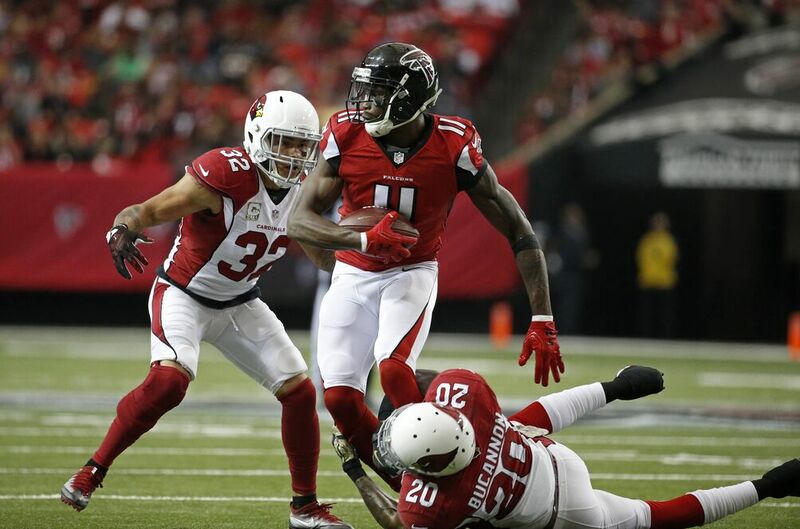 The Arizona Cardinals are losing its leading tackler in Deone Bucannon, and will struggle to replace his production. As reported earlier by NFL Network’s Ian Rapoport, Arizona Cardinals head coach Bruce Arians has informed media that Deone Bucannon has undergone surgery to repair a lingering ankle injury. The injury had prematurely ended his 2016 campaign and has continued to plague Bucannon throughout the offseason. #AZCardinals coach Bruce Arians told reporters that LB Deone Bucannon had ankle surgery. PUP candidate, but hope he’s back by early Sept.
Recovery for the surgery is expected to take up to four months but Arizona is hoping that Bucannon will be ready to contribute by early to mid-September. Bucannon will be missed by a Cardinals defense that finished ninth in yards allowed during last season. With Tony Jefferson jetting to Baltimore during the offseason, Bucannon is the team’s leading returning tackler from a year ago. The season saw Bucannon post 91 tackles and a fumble recovery in only 13 games played. Assuming that Bucannon will miss significant time, Arizona will be looking for someone to fill in his role as their “money” or “rover” backer. This position is typically played by an athlete who is ultra athletic and flies around the field getting tackles. Looking at Arizona’s roster as it currently stands there are a couple of rookies who could fill this role that immediately comes to mind: Haason Reddick and Budda Baker. Reddick, Arizona’s first-round pick from last month’s draft is also a former safety converted to linebacker. Knocked for his lack of traditional size at the linebacker spot (6-foot-1, 230 pounds), Reddick runs a 4.5 40-yard dash and is an explosive finisher when it comes to finding the ball-carrier. If Arizona opts to go this route with their defense they will certainly have added a monster in their linebacking corps. However, they will not be utilizing Reddick at the position where he thrives best: end man on the line-of-scrimmage rushing the passer or setting the edge as a run defender. Reddick led the nation in tackles for loss last season and had 10.5 sacks. Baker would be another interesting athlete to replace Bucannon’s production. Baker was a three-year starter for the Washington Huskies at safety. He was also their leading tackler last season. Baker also notched five interceptions in three seasons defending Pac-12 offenses. He is renown for his willingness to tackle and fired like a missile at whoever he was trying to hit.